Isaac Kim is the current concertmaster of the Bakersfield Youth Symphony and is also the concertmaster of the Stockdale High School Orchestra for the last three years. He started his violin lessons and performed in public at age 3. Isaac performed at Carnegie Hall as the concertmaster of a showcase concert at the New York International Music Festival. He is the winner of the 2017 Young Artist Competition and performed as a soloist with the Tehachapi Symphony Orchestra. He has won the Bakersfield Youth Symphony Orchestra Concerto Competition and has also performed as a soloist in the Young People’s Concert with the Bakersfield Symphony Orchestra. He is a National Merit Semifinalist and has participated in Boys State. He is the president of the Stockdale High School Orchestra, Coding Club, and HOSA - Future Health Professionals. His hobbies include coding, web design, drone piloting and videography. 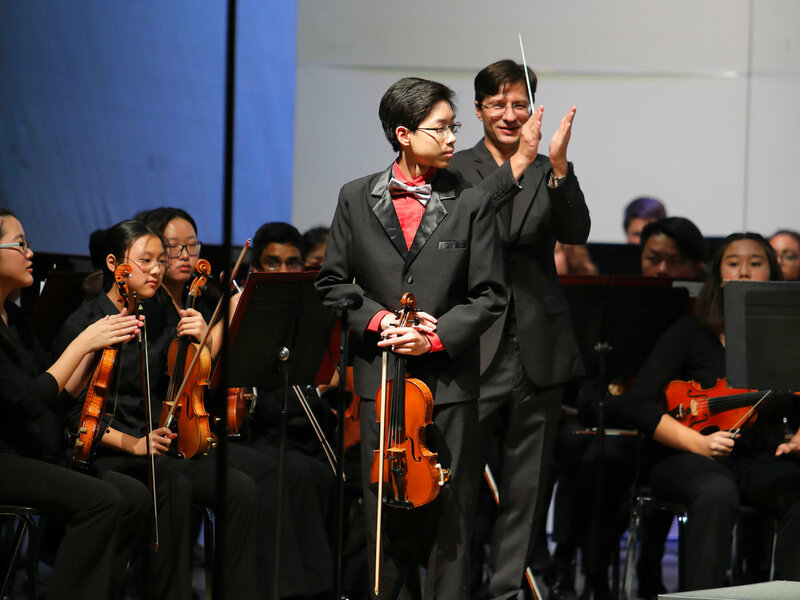 Isaac Kim was featured violin soloist for Bakersfield Youth Symphony Orchestra. Isaac Kim was a concert master for Stockdale High School Orchestra Fall Concert. Isaac Kim was a violin soloist for Young People’s Concert series. He performed with The Bakersfield Symphony Orchestra at the Rabobank Theater. Elementary students, secondary students, and teachers from across Kern County have enjoyed Young People’s Concert series for more than thirty years. The Tehachapi Symphony, directed by Dr. David Newby will perform at 4 p.m. Sunday, May 7, 2017 at Country Oaks Baptist Church, 20915 Schout Road.